Okay. 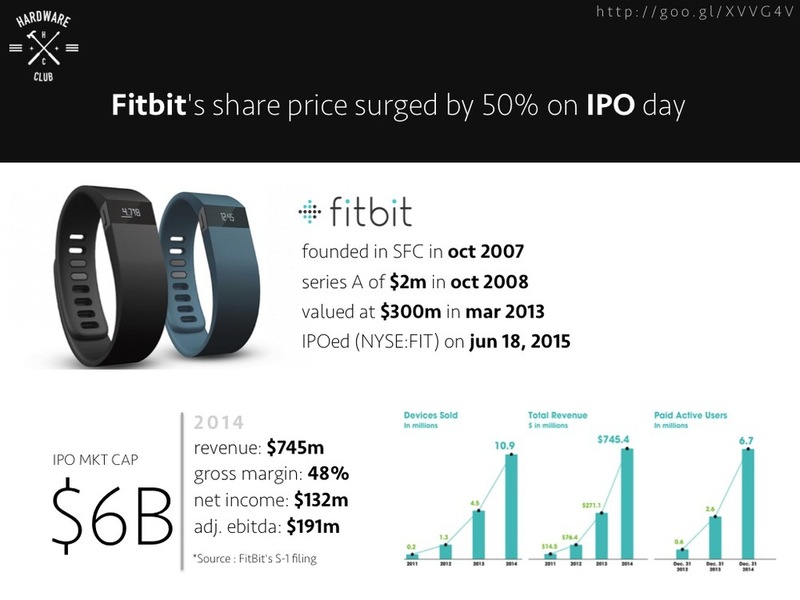 I'll skip all the exciting comments, which you can find readily on every possible tech or finance media, and simply jump to analysis of numbers regarding the successful Fitbit IPO on June 18, 2015 that gives it a fully diluted market cap of $6B. * Financial theory geeks would criticize me of not deducting the excess cash. However, I've always argued that the cash on the balance sheet for a high-growth startup that just went IPO is necessary for future growth, and therefore not excess. They're therefore part of the necessary asset to drive the projected 20-year operational results to arrive at the current valuation. It should therefore not be taken out when calculating the EV of the firm. Or put it another way: why on earth would you be raising a huge amount of cash at IPO if they will be "excess"? ** Yet another way to argue for this is: would you take the freshly raised cash out of the EV of a startup post A-round, where nearly all cash comes from investment, not generated by operational cash flow? I hope that gives you some pictures of how a successful modern hardware startup with high revenue growth while facing potential fierce competition from both same-sector and cross-sector companies is priced by the market.